Wedding Bands for Hire Book live Wedding Music Bands UK wide. For thousands of brides & grooms, finding the best live wedding band is an essential part of planning their big day. With a huge variety of award-winning bands for weddings, from crowd-surfing festival headliners, cool female-fronted chart bands to vintage-modern line ups - your wedding entertainment can be as unique as you are. Also see function bands & party bands. Need help finding the perfect Wedding Band? If you would like help selecting the perfect Wedding Band for your event, simply give us a call or submit the quick enquiry form below and one of our talented entertainment coordinators will be happy to assist. What is a wedding music band? Offering a self-contained entertainment package, wedding band hire will often include everything they need for their performance, including sound and lighting equipment, so there’s no need to hire any additional kit. A complete repertoire of each wedding bands music is featured on their profile pages. Most will tailor their set list to your specific wedding requirements, and this can be discussed with your Alive Network Entertainment Coordinator. Do you have any wedding bands near me? Is a live band suitable for my wedding? Typically the headline evening entertainment, live bands for weddings can provide the perfect atmosphere for various stages of your big day, offering a complete wedding entertainment solution. Most can offer smaller ensembles or soloists to play romantic acoustic music for the procession, ceremony, the signing of the register, and the recession. They can also perform live background music for the wedding drinks reception and wedding breakfast, where you and your guests can happily chat and enjoy each other’s company. The evening entertainment can be turned up a few notches, with additional members and instruments added to perform a dynamic and energetic party set. A live band can play music for the all-important first dance too, with many offering the option to learn a special song of your choice, given enough notice. They can also provide a DJ option so that you and your guests can party all night. Once you've decided to book a band for a wedding, it's worth considering the benefit of booking one band for the whole day’s celebration. Costs and logistics are minimal, particularly compared with the option of hiring several separate performers for your wedding day. A typical 4-piece band will need a space of roughly 4m width × 3m depth to perform comfortably. For approximate requirements, see ‘How much space will a band need?’, below. Volume - How loud is a live band? If your wedding venue has volume restrictions or has a sound limiter fitted, some wedding bands hire an electronic drum kit which can lessen the overall volume of the band. You can find our sound limiter friendly bands here. Prices vary depending on the line-up and the options each band offers. Booking a band who are local to your venue is a great way to reduce cost, as any travel fees will be minimal. 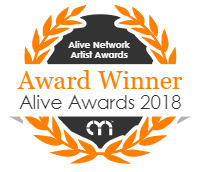 The home town of all Alive Network's bands are included on their profile pages, and your Entertainment Coordinator can recommend the best bands near to your venue. However, you don’t need to limit your search to just local bands – your perfect band maybe willing to travel at nominal cost! Who are the top 10 recommended wedding bands in the UK right now? How long will a band play for? Wedding band entertainment usually consists of two 60-minute performances, though many can perform for longer if needed. You could spread out a two-hour performance by splitting it into three 40-minute sets. Most bands are flexible to fit in with your evening, and will usually take a break of around 15 minutes between sets, during which time they will provide background music from an MP3 player or laptop. If providing the evening entertainment, wedding reception bands would typically arrive at 6pm, get set up and perform that all-important sound check by 7.30pm to 8pm, get changed and ready to start the first performance by around 9pm. The second performance would then start around 10.30pm, until a normal curfew of midnight. Many bands offer longer performances or DJ sets at an additional cost, including finishing times of 1am and 2am. You can find the booking options on each band’s profile page. These times serve as an example – the band will always liaise with you and will tailor what they are doing on the night to your particular needs. How much space will a live band need? How long will it take for a live band to set up? Following their performance, it takes a band around 45 – 60 minutes to pack down and load out. What equipment will a live band need? All Alive Network bands provide their own PA sound system, microphones, backline amplifiers, and stage lighting. If you are planning a large wedding with over 200 guests, you may need to hire a separate PA system to fill the large venue. Your dedicated Entertainment Coordinator will be happy to discuss the requirements for specific bands. Safe, Secure Wedding Band Hire Backed By 24/7 Cover! Aside from finding some of the best Wedding Bands in the UK and getting expert advice from our friendly staff, one of the main reasons to hire a Wedding Band from Alive Network Entertainment Agency is security. We ensure your booking is covered 24/7 against any eventuality, so that no matter what, you can enjoy your event without worrying about whether your entertainment will turn up. If your Wedding Band is ill or unable to perform, our team will be on hand to source a suitable replacement even out of office hours and at short notice. Imagine having to do that yourself!? As one of the leading Wedding Band agents you can be reassured that at Alive Network, you'll find the very best selection of Wedding Bands from across the UK. We also hire UK based Wedding Bands to fly out for international events & weddings. Our five star booking service ensures it's easy to hire a Wedding Band, with every booking backed up by a secure contract and 24/7 customer support. By booking with a trusted agency you'll have the peace of mind to get on with enjoying your event!